Considering Australia had only 45 seconds to deliver its recommendations on China’s human rights situation at the UN review of the country’s record in Geneva yesterday, our diplomats managed to pack quite a lot in. Australia’s representatives ran through the whole gamut of human rights issues that have continued to deteriorate under China’s President Xi Jinping—including worsening freedom of expression and religion and the continued use of the death penalty—and called for the release of detained human rights defenders. 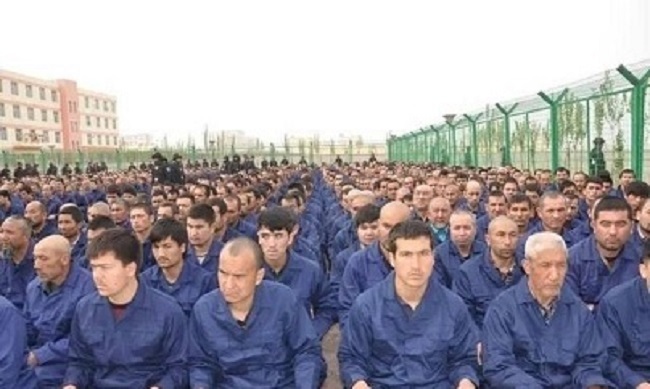 Australia shares the UN’s alarm at numerous reports of detention of large numbers of ethnic Uighurs and other Muslim groups held incommunicado and often for long periods without being charged or tried, which exacerbates rather than prevents religious extremism. Australia recommends that China cease the practice of arbitrarily detaining Uighurs and other Muslim groups in Xinjiang, which is more likely to exacerbate than prevent religious extremism and, as recommended by the UN [Committee on the Elimination of Racial Discrimination], immediately release individuals currently detained. That the public criticism came on the eve of Marise Payne’s official visit to Beijing—the first by an Australian foreign minister in almost three years—is a reassuring sign that the Australian government is prepared to prioritise values alongside realpolitik in its dealings with China. The foreign minister has committed to raising the issue  in her discussions in Beijing ‘in an appropriate way’. Australia’s decision to join other countries like the Canada, France, Germany, Switzerland, the UK and the US signals a break from the approach introduced by then foreign minister Alexander Downer in 2007, which saw Australia opt for bilateral dialogues with China on human rights issues. Writing in the Financial Review  earlier this year, Downer said that then US secretary of state Madeleine Albright had been ‘pretty robust in her criticism’ of Australia’s diplomatic stance at the time, but that he was satisfied the decision represented the ‘smarter path’ when dealing with China on human rights issues. But now that decision isn’t looking quite so smart. With discussions held behind closed doors, Beijing continued to downgrade the bilateral human rights dialogues until they fell away completely. Then, seemingly emboldened by the lack of public criticism, Beijing started steadily running down the small gains it had made in recent years in civil and political rights. No area in China, save for Tibet, has seen human rights deteriorate as quickly and as systematically as Xinjiang. As our ASPI International Cyber Policy Centre report Mapping Xinjiang’s ‘re-education’ camps , last week demonstrated, Chinese authorities are rapidly expanding a network of internment camps there, with no end in sight . As we write in the report, the rapid growth of these indoctrination centres is reminiscent of Beijing’s efforts in the South China Sea. Similar to the speed with which it has created new ‘islands’ where none existed before, the Chinese state has changed the facts on the ground in Xinjiang so dramatically and so quickly that it has allowed little time for other countries to meaningfully react. The satellite imagery we analysed for the report reveals an archipelago of buildings that look like they’re meant to be permanent. Given the huge amount of resources devoted to the project, it seems likely it’s been designed to run for years to come. And as the Australian delegation’s detailed questions in Geneva highlight, China has started to tweak the diplomatic language it’s using to describe its orientation towards human rights, in an attempt to provide an ideological justification for the changes it’s making on the ground. In a national report submitted to the UN ahead of the review, China said there’s ‘no universal road for the development of human rights in the world’. Instead, it said, the country was committed to the pursuit of ‘human rights with Chinese characteristics’. The formulation is reminiscent of how Beijing describes its own system of government: ‘socialism with Chinese characteristics’—which means it’s not socialism at all. As Bao Tong, former political aide to the late ousted premier Zhao Ziyang, has written , the phrasing is really just a way of validating the primacy of the Chinese Communist Party. Through its words and its deeds, the Chinese government is showing what it really is and how it intends to shape the world in the coming decades. Payne, who’s now in Beijing, has the perfect opportunity to reiterate Australia’s strong views when she meets with Chinese Foreign Minister Wang Yi and make it clear that human rights are only human rights when they’re based on universal principles. Fergus Ryan is an analyst at ASPI’s International Cyber Policy Centre. Images courtesy of Wikimedia Commons and Google Maps, with data from Digital Globe.